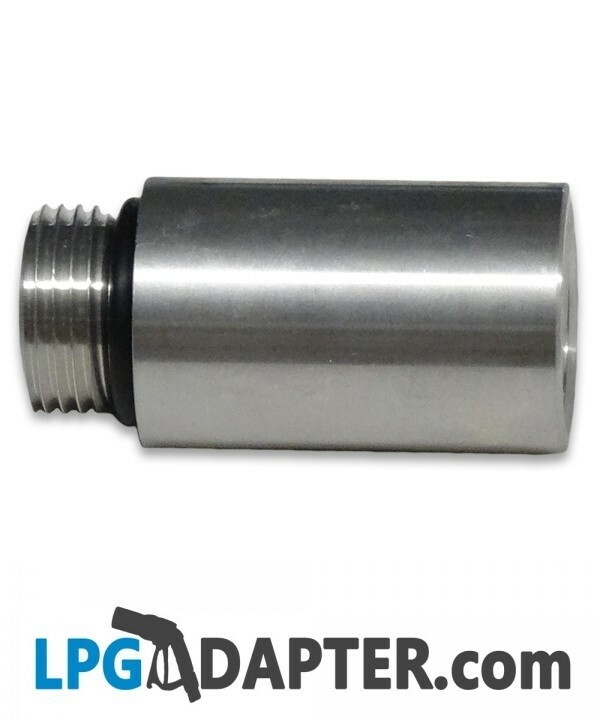 Use this gas bottle adapter to fill up European LPG cylinders with 22mm reverse thread, at Autogas stations in Spain. 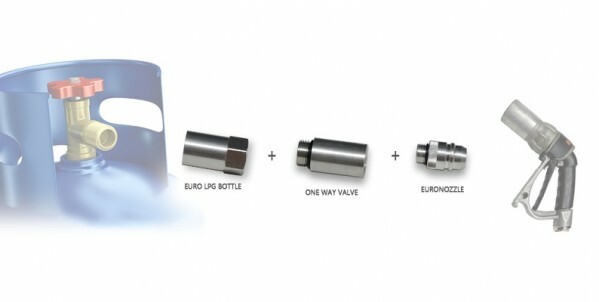 The EURO BOTTLE WLHT 21.8 TO EURO CONNECTOR LPG BOTTLE ADAPTER is a connector unit used to refill European lpg /propane bottles fitted with W 21.8mm left hand, reverse thread valve system, at an Portuguese and Spanish petrol autogas station pumps commonly called EURO CONNECTOR. The list of countries using EURO CONNECTOR type fitting is in a table below. 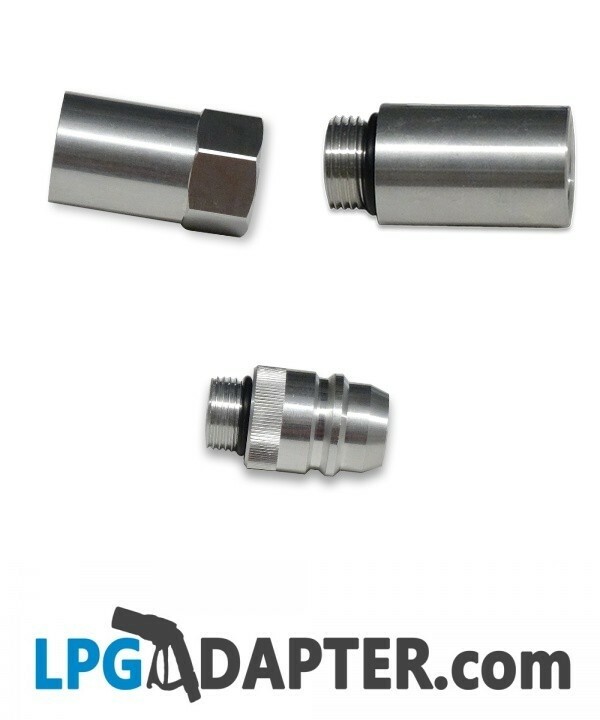 It comes in 3 part and individual part can be used with our lpg adapter range. 2. 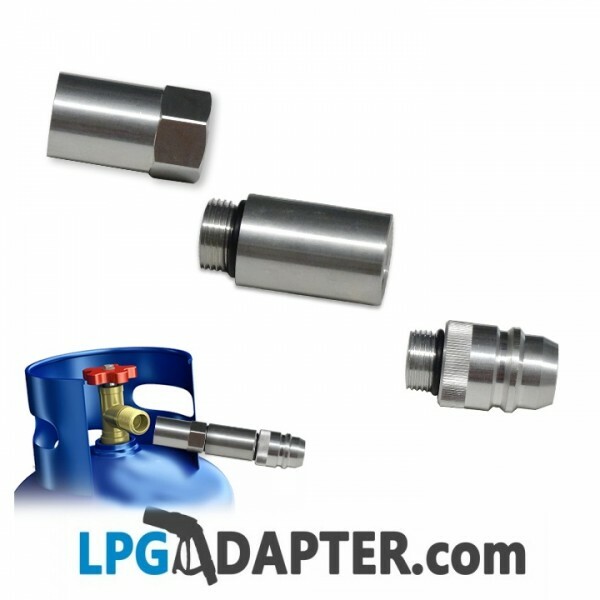 W21.8 male to W21.8 female propane one way safety valve. 3. 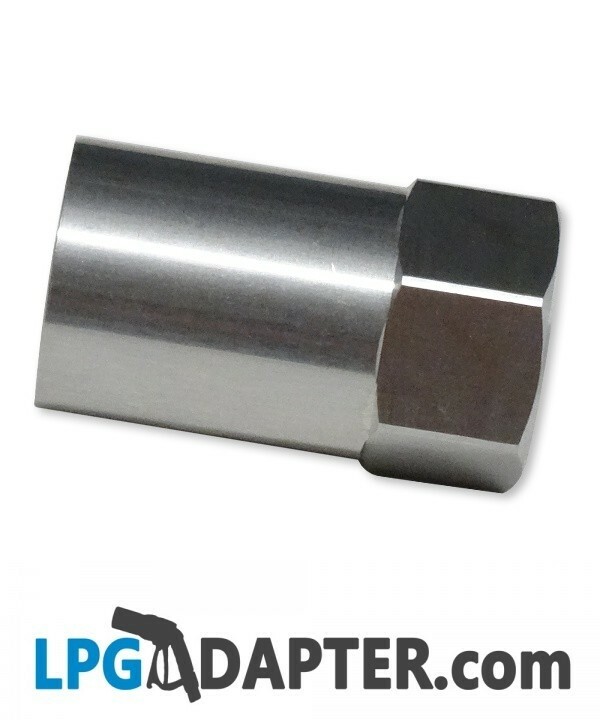 W21.8 male to EURO CONNECTOR adapter. Control valve according standard E37 67R.01 0049. Screw your adaptor into gas bottle valve. Fasten lpg pump nozzle to the adaptor and open valve on the propane bottle. When finished close valve on gas bottle. 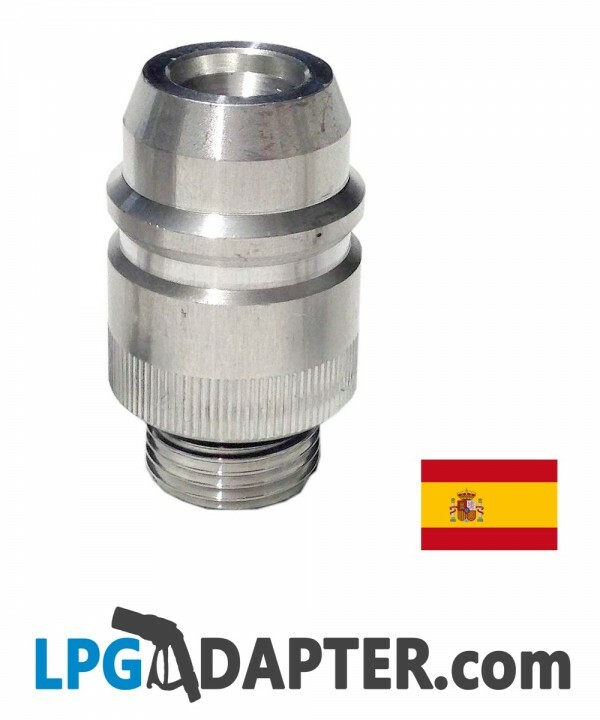 Con este adaptador de GLP llenar botellas de gas propano en las estaciones de autogas utilizando conector de euros en España . For a full range of other adapters, if you are travelling across Europe, please see our other listing.